Food and beverage packaging is a co-ordinated system of preparing food for transport, distribution, storage, retailing, and lastly to satisfy the needs of consumer at a relevant cost. According to the World Packaging Organization (WPO) more than 25% of food is wasted due to poor packaging. Thus the optimal packaging can reduce the large amount of food waste. Food process engineering is a versatile field which combines different traits like applied physical sciences, chemistry, microbiology, and engineering for food and its related industries. Food and beverage packaging conference shows the recent advancements and emerging trends in food process engineering from several disciplines. This involves a variety of task i.e. transforming raw agricultural commodities into easy-to-use, to increase its shelf life, nutritious, and safe foods. 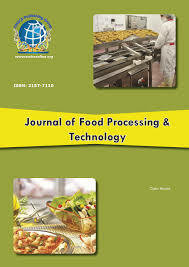 The study of food process engineering is mainly based on an understanding of the physics and biology of food preservation processes, expanding to a different field of engineering. All food products undergo analysis as its part of a quality management program throughout the development process, through production, and after a product are in the market. In addition, analysis is done of problem samples and competitor products. The characteristics of foods (i.e., physical properties, chemical composition, and sensory properties) are used to answer specific questions for regulatory purposes and typical quality control. The nature of the sample and the specific reason for the analysis commonly dictate the choice of analytical methods. Speed, accuracy, precision, and strength are key factors in this choice. Food chemistry is the science that deals with chemical structure, with the chemical composition, and properties of food constituents and with the chemical changes that undergo in foods during handling, processing, and storage. 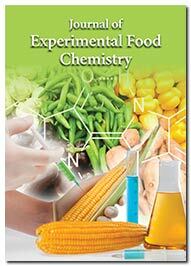 Food chemistry trait is also related to biochemistry, with the science of nutrition and microbiology. The chemical changes that take place during handling, processing, and storage food determine its nutritional value, taste, texture and freshness. Like any other organic material, food also gets decomposed over a period of time. On the basis of food constituents the chemistry of foods has been divided into several groups such as proteins and enzymes, lipids, carbohydrates, vitamins, flavours and colorants, minerals and other micro components, additives and contaminants. Food safety is basically handling, preparation, and storage of food in such a way that eliminate foodborne illness. This process consist number of routines that should be followed in a proper manner to avoid any possible health hazards. Food and beverage packaging has a direct impact on food safety and fast response to safety problems. Cleanliness in the plant is the leading facilities accepted by Good Manufacturing Practices (cGMPs), as well as by Hazard Analysis Critical Control Points (HACCP) designed to minimize risk. Food quality means acceptability of food on the basis of palatability, taste, aroma and appearance. Baby food products need to be preserved with maximum care. Due to lack of preservatives added to these foods, they can tend to get stale even before they reach the consumers leading to wastage in food, resources and money. The utmost concern should be finding the right packaging which preserves the inside contents in the most secure way, prolonging their expiry. Nano-materials are increasingly being used in the food packaging industry due to advanced functional properties they can bring to packaging materials. The use of nanotechnology in different areas of food packaging is an emerging field that are commonly used nowadays. The use of nanotechnology in the field of food packaging can lead to enhancing food safety, improving pathogen detection time, and controlling the quality of food and packaging throughout the supply chain. Nanotechnology-enabled food packaging can generally be divided into three main categories – improved packaging, active packaging and intelligent/smart packaging. The reasons for using nanotechnology in the food packaging are as follows- Contamination Sensor, Antimicrobial Packaging, Improved Food Storage, Enhanced Nutrient Delivery, Green Packaging, Pesticide Reduction, Brand Protection, Texture and Flavour Enhancer, Bacteria identification and Elimination. Packaging can be defined as an efficient means of providing protection, demonstration, communicate information, containment, suitability and compliance for a product during storage, carriage, display and until the product is consumed. Packaging of product must provide safeguard against physical, chemical and biological hazards and as well as with climatic conditions and must be cost-effective. The package must provide suitable reliability of the product throughout the shelf life. The pharmaceutical packaging is an important component for medicinal products because it promises its stability and integrity. It is sometimes an intrinsic part of the pharmaceutical form itself. Additionally, the pharmaceutical packaging has always been essential means of communication for patients (labelling, pamphlet) but also for professionals (such as pharmacists, other pharmacy staff or nurses) at the time of drug delivery. Pharmaceutical packaging has to maintain lots of complex considerations. Apart from quite simple issues such as developing good designs and interacting with customers, the pharmaceutical packagers are more worried about the concerns such as fighting with counterfeiting, encouraging patient compliance, ensuring drug integrity and balancing child-resistance and accessibility for the elderly. Issue of environment safety is also key concern for both developed and developing countries packaging industry. Pharmaceutical packaging companies are one of the industry's prominent innovators evident by the recent advancement in technology. The current trends are result of continuous series of challenges faced by industry. Packaging is a science which is constantly growing and is a main realization provider for pharmaceutical industries. The rapid growth in working population in developing economies has increased the demand for instant food products across the globe. People, nowadays, have no time to cook, which has resulted in an increased dependence on canned preserved food, as they are rich in nutrients and do not require cooking. The increasing earnings of customers is also adding significantly to the rising demand for canned preserved food in the world. Canned food is a good source of nutrients, especially for people having restricted funds or with limited access to fresh foods. Can linings prevent the interaction of a food with a can’s metal. Epoxy resin, made from polymers containing Bisphenol A, has been preferred for can coatings because it protects against metal corrosion and holds up to the heat extremes of sterilization. Canned foods play a significant role in international food market. Canned packaging foods can be saved for months in a very similar state to its original form. Canned meat is an on-going development toward cheap alternatives to chilled and frozen meat. As on one hand canned foods offers a long shelf life and low prices, while on the other hand it suffers from a poor consumer perception of its healthiness and taste quality. Adulteration is a legal term which means that a food product fails to meet federal or state standards. Food adulteration is the process in which the parameter of food is intentionally set down either by extraction of valuable ingredient or by the addition of inferior quality material. Adulterant means any material which is added to any food for making it unsafe for human consumption. Adulteration is a process of adding another substance or adulterant to a food item in order to increase the quantity of the food item while decreasing the quality of food item. It not only includes the intentional addition or substitution of the substances but biological and chemical contamination during the period of growth, storage, processing, transport and distribution of the food products, is also responsible for the lowering or degradation of the quality of food products just to increase the quantity of food for sale. The Food and beverage packaging industry is becoming a multi-trillion dollar global business. The reason is that the recent increase in incomes in traditionally less economically developed countries has led to a rise in standards of living that includes a significantly higher consumption of packaged foods. As a result, food safety guidelines have been more stringent than ever. At the same time, the number of research and educational institutions—that is, the number of potential researchers and stakeholders—has increased in the recent past. Marketing is the study and management of exchange relationships. It is the management process responsible for identifying, assuming and satisfying the customer requirements. Food and beverage marketing enhances the diets and health of children and adolescents. Food and beverage marketing is a gold-mine opportunity for creative marketing professionals. Nowadays sustainability packaging is a major global trend in the packaging industry as consumers consistently search for healthier food preferences and also in a search of the manufacturers whose innovative packaging and processes positively impact the environment and the quality of their goods. Here comes sustainable packaging which is simply packaging that may be composted, recycled or reused, at the present time we can easily see manufacturers put more focus on packaging technologies and trends that allow for the reduction of waste and provide a safer product while enhancing their brand message. Sustainable packaging is the expansion and use of packaging which results in better sustainability. This includes the increased use of life cycle inventory (LCI) and life cycle assessment (LCA) to help guide the use of packaging which reduces the impact on environment and ecological footprint. Sustainable packaging is a relatively new addition to the environmental considerations for packaging. It requires more analysis and documentation to look at the package design, choice of materials, processing, and life-cycle. This is not just the vague "green movement" that many businesses and companies have been trying to include over the past years. Companies implementing these eco-friendly actions are reducing their carbon footprint, using more recycled materials and reusing more package components. They often encourage traders, contract packagers, and suppliers to do likewise. The advancement in food processing and packaging play a primary role in keeping the food supply one of the safest in the world. Packaging protects food and is the intermediate between the processing and usage by the consumer. After usage, food packaging must be removed in an environment in the safest manner. Packaging technology must therefore balance food protection with other issues, including energy and material costs, heightened social and environmental consciousness, and strict regulations on pollutants and disposal of municipal solid waste (MSW). Recommended Conferences: Innovative Food Packaging | Food Sustainability Conferences | Food Packaging Technology Conferences. Food has the nature to spoil at the moment when it is harvested. Processing, preservation and packaging of foods is undertaken to prevent spoilage by microorganisms, as well as enzymes, temperature, and biochemical changes and impart a keeping quality or shelf-life to foods. Packaging is the integral part of the processing and preservation of foods that can cause physical and chemical changes, including migration of chemicals into foods. However, packaging in the modern world has a considerable impact on the environment. Food packaging in case of microbial activity or Antimicrobial packaging has gained much attention from the food industry because of the increase in consumer demand for minimally processed, preservative-free products. Antimicrobial packaging can be considered an emerging technology that could have a significant impact on shelf life extension and food safety. Different classes of antimicrobial compounds have been evaluated in synthetic polymers, film structures, and edible films. New antimicrobial packaging materials are continually being developed. Many of them exploit natural agents to control common food-borne microorganisms. The present review will be restricted to food packaging applications only, including a brief outline of some antimicrobial polymeric packaging systems, recent developments and future prospects. Recommended Conferences: Food Nutrition Conferences | Nutrition Meetings | Food and Nutrition Conferences. The Sensing technology is promoting to grow at a considerable pace, across various markets. By using sensors and indicators on the basis of temperature, oxidation, pressure, motion and moisture change has gained the approval of several manufacturers in Food and beverages packaging industries. All a part of the emerging smart packaging methods, the use of the next-generation smart sensors is poised to mark a revolutionary change in the way food and beverages are intelligently wrapped. Food Materials Science and technology provides the science behind structuring processes for foods and applications in food product design. 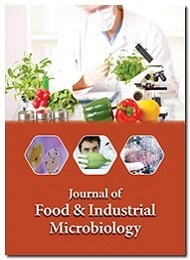 It also deals with relation to food materials, their properties and characterisation techniques, thus offering a new approach to understanding food production and quality control. Food and Beverage Package testing involves the assessment of attributes involved with packaging. This includes packaging components, packaging materials, primary packages, shipping containers, and unit loads, as well as the associated processes. Package Testing measures the effects and interactions of the types of packaging, external forces acting on it, the package contents, and end-use. Testing can be a qualitative or quantitative procedure. The food industry is changing. As the global population reaches over 7.5 billion, food demand continues to rise. Food suppliers are under pressure to work more efficiently. Robotics Food Packaging is a key part of the solution. As compared to other industries, the food industry has been relatively slow to adopt robotics. Since last few years robotics has started to make its way into almost every link in the food supply chain, from the field to the kitchen and especially in packaging of foods and beverages. The Active and Intelligent Packaging both include functions that move apart from the containment and protection of a product. The dissimilarity between the two is that while active packaging acts directly with the packaged product by interacting chemically or biologically with it. The objective of intelligent packaging is to identify and communicate information about the product condition, without taking any direct action. The goal of Active and Intelligent Packaging is to extend shelf life, monitor freshness, and to improve safety and suitability. Active Packaging aims to monitor the condition of the packaged goods. The Active food packaging interacts with its contents chemically or biologically just to extend shelf-life and maintain food quality for as long as possible. While the Intelligent Packaging aims to inform. It can intellect trait of the product and communicate this info to users or trigger active packaging functions. Its main purpose is to indicate whether the quality of the product has deteriorated or not. We invite the participants from all over the world for the International Conference on Food Packaging-2018 during July 16-18, 2018 in Rome, Italy. 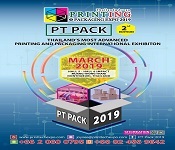 The event will mainly focus on the wide range of topics in the field of food technology and provide deep knowledge on Food and Beverages Packaging. It is a global platform that combines different domains, stimulate the exchange of ideas and enable participants to grasp the latest developments and ideas in different areas of Food technology. The event includes prompt keynote presentations, Oral talks, Poster presentations Young Research Forum and Exhibitions. The goal is to bring together leading academic scientists, researchers, specialists and research scholars to exchange and share their experiences and research results on all aspects of Food technology and Food Packaging. It also provides a premier interdisciplinary platform for researchers, practitioners and educators to present and discuss trends, the most recent innovations, and concerns as well as practical challenges encountered and solutions adopted in the fields of Food Technology. Conference Series llc LTD. Organizes 3000+Global Events inclusive of 600+ Conferences, 1200+ Workshops and 1200+ Symposiums Every Year across USA, Europe & Asia with support from 1000 more scientific societies. Food Packaging 2018 Conference focuses on current topics in Food chemistry, Food process engineering, Food Technology, Food safety and standards, Food quality management, Supply chain management of Food, Food nanotechnology, Food package testing, Food laws and policies, Food sensing technology, and Food Robotics science and will also discuss the latest issues and trends. This conference seek to bring all such scientist, Noble Laureate, researcher, research scholar, students and people together who are involved in Food technology, Food process engineering, Food engineering, Food safety and standards, Food nanotechnology etc. field and provide them to discuss about their innovation, exchange ideas and interaction with each other. With members from around the world focused on learning about Food packaging and its advancement so this is your best opportunity to reach the largest assembly of participants of the Food Technology community. This conference seek to bring all such scientists, Noble Laureates, researchers, research scholars, students and people together who are involved in Food Technology and Packaging field and provide them to discuss about their unique innovation, sharing ideas and interaction with each other. World-renowned speakers, the most recent development and advancement in the field of food technology are the limelight of the conference. The food sector is one of the most important industries in Italy, employing around 385,000 people and generating a total turnover of about EUR 135 billion in 2015, with exports amounting to EUR 36.9 billion. After several years of suffering from the domestic economic downturn, the Italian food sector´s performance has rebounded since 2014, benefiting from lower raw materials and energy prices. Italy is the 4th largest Foods and Beverages manufacturer in the European Union (EU) and its Foods and Beverages industry is the country’s second-largest manufacturing sector. Food and Beverage packaging market covers the largest share of packaging sector and it also covers over one-third of the total global packaging market. From an international point of view, the market for food packaging is at a fascinating stage where the market has reached at a peak point in the developed nations while developing nations are adapting fast to the newer technologies and supply chain management. Good food packaging provides protection against physical, chemical or biological damage and can also improve the shelf-life of products which consequently attracts more number of customers. The market for food packaging is expected to grow in upcoming years as various production facilities are being set up to catch up with the latest development and trends coming up in the market. Also, world is experiencing drastic changes in lifestyle and food preferences that are conjugated with growing population and economic growth of the respective region. All these factors are responsible for the global food packaging market. In addition to this, people prefer processed food as result of shifting population dynamics from rural to urban areas. The global market for materials used in food and beverages packaging was $21.7 billion in 2012 and $23 billion in 2013. This market is expected to reach $31.3 billion by 2018, rising at a five-year compound annual growth rate (CAGR) of 6.3% from 2013 to 2018. If there is an industry sector that is equally, if not more dynamic than the food sector, it is none other than the food packaging industry. Packing materials are generally used to contain the product, increase its shelf life, preserve product quality, and for hassle-free transportation and distribution. An ideal packing material should extensively inhibit food spoilage. Packaging is also an effective tool for brand awareness and has a positive impact on market growth. According to Statistics, the Global Food Packaging Market is valued at $63.32 billion in 2016 and is expected to reach $103.51 billion by 2023 growing at a CAGR of 7.33% from 2016 to 2023. The global market for appliances used in food and beverages packaging was $21.7 billion in 2012 and $23 billion in 2013. This market is expected to reach $31.3 billion by 2018, rising at a five-year compound annual growth rate (CAGR) of 6.3% from 2013 to 2018. The food packaging market is estimated to reach a value of $305,955.1 million and for beverage packaging is projected to reach $131.1 billion by 2019 at a CAGR of 4.4%. The North America Food Packaging Market was worth USD 43.38 billion in 2016 and estimated to be growing at a CAGR of 4.00%, to reach USD 63.51 billion by 2021. The gaining reputation of this market can be indorsed to increased demand for processed and packaged food and visual appeal of packaged food and convenience for use. The North America Food Packaging is broadly characterized into Material, Type and Application. On the basis of material packaging is classified as Paper and Board, Rigid Plastic, Metal, Glass, Flexible Plastic. On the basis of type packaging is classified as – Rigid, Semi-rigid and Flexible. On the basis of application packaging is classified as – Bakery, Confectionary, Convenience Foods, Dairy Products, Fruits and Vegetables, Sauces, dressing and condiments. During the period of 2010-15 packaged food and drink consumption in Europe is projected to grow by 2% per annum, to exceed an annual volume of 864 billion packaging units by 2015, 80 billion more than in 2010. The packaged food and drink consumption in Europe is projected to grow by 3% per annum to 953 billion packages by 2020.The European fresh food packaging market is buyer-oriented. The food packaging market is directed by the increasing use of eco-friendly packaging technologies, which are inexpensive and manufactured from recycled material. In order to achieve sustainability, these eco-friendly technologies have played a vital role. The European fresh food packaging market is projected to reach USD 10,578.6 Million by 2020, with a CAGR of 2.13% from 2015 to 2020. Food and beverage packaging market is by far the largest market of the packaging industry, accounting covering the one-third portion of global packaging market. From a global perspective, the food packaging market is at a very interesting situation, where the market has almost reached a peak point in terms of technology. The Asia-Pacific flexible food and beverages packaging market is expected to grow from US $26.51 billion in 2016 to US $47.32 billion by the end of 2021 at a CAGR of 10.14%. China is set to have the highest market share, followed by Japan and South Korea. This growth is attributed to the steady economic growth of the region. The GDP growth for 2016 - 2017 is forecasted to be more than 5% which is helped by growth in economies, robust credit growth, and good labour markets. The U.S. food industry is forecast to grow at a steady rate of 2.9% CAGR through 2022, according to the recently released 2016 Food Packaging Trends and Advances report from PMMI, The Association for Packaging and Processing Technologies. According to the report, the U.S. food industry stream the global market and, although North America is the largest global market across all food segments, the overall growth of the food industry, which includes food packaging, is being driven by emerging markets like Argentina, Brazil, China and India. Rome is well known as The ‘Eternal City’ and also at times addressed as ‘Caput Mundi’, a Latin phrase which means "Rome capital of the world". Rome is the capital and largest city of Italy and of the Lazio region. Provisional data suggest a density of 2,877,215 people in 1,285 km2 (496.1 sq. mi). Rome is the most populated community of Italy. It is the fourth-most crowded city in the European Union by population within city limits. Rome is situated on the central-western portion of the Italian Peninsula, within Lazio region, along the shores of the Tiber. The Vatican City is the only existing example of an independent country inside the city boundaries of Rome. This is the reason why Rome has been often defined as capital of two states. Rome has the status of a global city. It ranked 13th-most-visited city in the world as well as 3rd most visited in the European Union, and the most popular tourist attraction in Italy. Its historic centre is recorded by UNESCO as a World Heritage Site. Rome is a major international cultural, financial, and a business centre. Rome's trade is 0.001% of world economic trade. Rome organises cultural and political organizations, such as the World Food Programme (WFT), International Fund for Agricultural Development (IFAD), and the NATO Defence College. Rome is also developed in industry. Mainly in the technology sector, telecommunications, pharmaceutical and food industries. Most factories are located in an area called Tiburtina Valley in the east of the city. Other important industrial areas are located in nearby towns such as Aprilia and Pomezia. Regional, inter-regional and international trade was a common feature of the Roman world. Cereals, wine, olive oil, fish, meat, cereals, salt, prepared foods such as fish sauce, and beer, in particular, were exported in huge quantities. The city's annual wine consumption was well over 1,000,000 hectolitres, probably nearer 2 million.